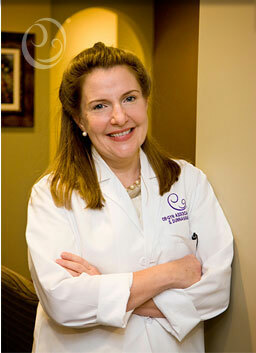 HIPAA Complaint Filed Against Dr. Siobhan Stolle Dunnavant | Virginia Right! During the recent Republican Primary campaign for the Republican nomination for State Senator in the 12th Senatorial District, some disturbing actions were taken by one of the contenders, Dr. Siobhan Stolle Dunnavant. I received a letter sent by Dunnavant’s campaign to her patient list. The letter explained what her patients could expect as far as medical services should she win the primary and the general election. And that much, in my opinion, was both proper and professional. However, the letter goes on to solicit campaign volunteers and yard sign placement in her patients yards, which is not medical at all. And the kicker for me and numerous health care professionals I have spoken with was that the letter was paid for and sent by Dr. Dunnavant’s campaign. The numerous health care professionals I spoke with all said that this is a HIPAA violation. Name and address are personal identifiers and the campaign letter was addressed to her patient list. I was told that simply having a paper file with a patient’s name on it when someone else walks into the room is a violation. Personally, I would not want my Physician handing over my name and address to his campaign staff, or letters with my name and address on it given over to campaign staffers to stuff in envelopes. People that handle this information are required to sign forms letting them know about HIPAA laws and privacy rules and laws. Medical professionals sign these forms very frequently. The questions that need to be answered are: Who saw the letters? Were they required to sign HIPAA forms? Were the printers notified that these letters and the personal identifiers were covered under HIPAA laws? And there are more questions opened up when a physician uses their patient list to campaign for office. Now for those who would call this sour grapes, I assure you it is not. I did not support Dunnavant in the primary but fully intend to support all Republican candidates in the General Election. However, after watching the Democrats destroy Republican Senator Ted Stevens in Alaska with an October surprise (among many others instances), and knowing that the balance of power in the Senate would swing back to the Democrats if this seat were to fall into their hands, this matter needs to be investigated while there is still time to either clear Dunnavant before the election, or replace her with another Republican candidate early enough to keep the seat from changing party hands. This incident puts the seat in serious jeopardy of switching parties if the complaint is timed for an October surprise by the Dem0ocrats. And like Ted Stevens who was eventually cleared, his seat was lost to the Democrats. Siobhan Stolle Dunnavant put herself in this position, and worse, put the balance of power in the Virginia State Senate in peril with this letter. Let’s hope that she did not violate HIPAA laws in her quest for a Senate seat. And let’s also hope that the investigation is concluded in time to not interfere with the general election. And in the event it does not turn out in Dunnavant’s favor, let’s hope she steps down in time to find a suitable replacement before the Democrats dump tons of money in defeating this vulnerable candidate. Timing is everything, and a complaint now will hopefully run it’s course quickly. And for those who wish to attack me for doing what had to be done to take this issue off the table for the Democrats in November, I didn’t send the letters. And I wish this were not necessary, but it is for the good of the Republican Party and the protection of patient information. And I can’t even begin to get into the ethics of using a patient list in such a way. Thank you Mr. White for your incredible coverage of this story- of course Dr. Stolle Dunnavant violated her patients’ privacy rights. When the OB-GYN practice database was exported to her campaign and its contracted printer services, THE LAW WAS BROKEN. The letter to her patients soliciting their votes, donations and volunteer time was paid for NOT BY DR. DUNNAVANT BUT HER CAMPAIGN. She should not be elected to the State Senate to vote on laws when she doesn’t obey them. She thinks she is above the law demonstrated by her willingness to do what ever it took to be elected. Where was the investigative reporting by any other media outlet when you first broke the story? Under HIPAA, the penalties for violating the Privacy Rule are severe. Depending on the nature and frequency of the violation, they can include civil penalties of up to $1.5 million and criminal charges, prison sentences of up to ten years, and fines of up to $250,000. Given the thousands of patients ( violations) to whom Dr. Dunnavant’s campaign mailed solicitation letters, she could go away for a very long time and pay huge fines. You are quite the low information voters. Once she downloaded her patient data to her campaign staff to print and mail a campaign letter with patient identifiers, she violated HIPAA- thousands of times. This is serious, people. And you low information Gyno Squad voters followed her to the polls. A number of people I know, including my mother, are patient’s of Dr. Dunnavant and are seriously considering filing complaints themselves. For the record, ALL consider themselves Republicans & NONE of them voted in the primary b/c they are NOT in the 12th district. NONE of them are politically minded people. Thank you for shining the light on this unethical & probably illegal strategy imployed by the MD. Let this serve once again as a reminder that nothing matters if Integrity isn’t the candidates first and top priority. Worrisome that any candidate wants to win so badly they knowingly violate the same laws that are applied to everyone but themselves. A voter with any conscience could not cast a ballot for this woman, consequences be damned. The Democratic Women voters- Patients of Dr. Dunnavant’s who received their HIPAA violated letter- streamed into the precints all day asking- this is a Republican Primary? I’m just here to vote for my doctor. Where’s Ray Allen and Bill Janis and their legal team?